Newport is a community with the unique distinction of crossing the borders of two states. 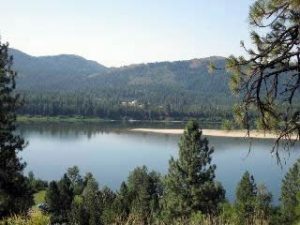 “Oldtown” lies within Idaho and Newport is the county seat of Washington’s Pend Oreille County – named for the beautiful Pend Oreille River that forms the scenic backdrop to both communities. 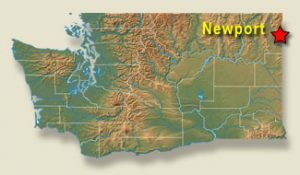 The 2000 residents of Newport enjoy easy access to Spokane via US Highway 2 (50 minutes) or Sandpoint, Idaho (40 minutes) with nearby Schweitzer Mountain and Lake Pend Oreille. The numerous lakes and backcountry that are nearby to this community simply add to the all-season recreational opportunities. Primary WRITE Preceptor: Jeremy Lewis, D.O. Dr. Lewis offers a full scope of family practice services, including Pregnancy care, Pediatrics, and Adult Internal Medicine. 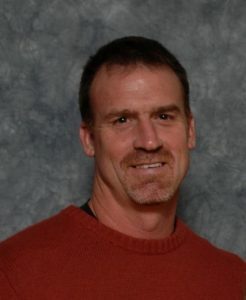 Some activities he enjoys with his free time are soccer, Basketball, softball, hiking and reading. Family Medicine: Shannon Radke, M.D. • Sara Ragsdale, D.O. Family Medicine: Clayton Kersting, M.D. • Jeremy Lewis, D.O. • Angelika Kraus, M.D. General Surgery: Timothy Chavis, M.D. Both Family Health Center Newport and Family Medicine Newport are part of the hospital system and are located near the hospital and nursing home. Each practice has three board certified family medicine physicians and a physician assistant. Physicians in both clinics are involved in teaching medicical students in UWSOM’s TRUST (Targeted Rural Underserved Track) and R/UOP (Rural/Underserved Opportunities Program). 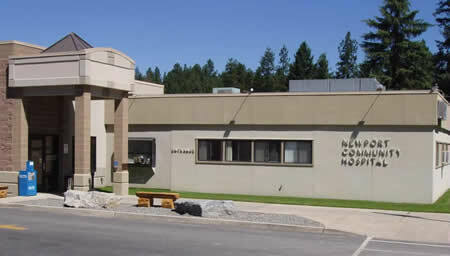 Newport Hospital and Health Center has a 50-bed long term care skilled nursing facility and a 42-bed assisted living facility within the medical complex. Newport is located on the Idaho Border, 50 minutes northeast of Spokane. It is part of the Scenic Selkirk Loop, a byway that extends north into Canada. To see a map of where we are located and/or get directions from other locations, go to maps.google.com (for directions, click “Get Directions” in the upper left-hand corner where you can input the starting address). Passenger train and commercial flights are available to Spokane. It is recommended that students arrive with transportation. Housing: One-bedroom apartment with full kitchen and deck. Extracurricular Activities: The area has abundant recreational activities, including water sports, hiking, biking, camping, Nordic and alpine skiing at nearby Schweitzer Mountain in Sandpoint or 49o North in Chewelah. Newport and the surrounding communities proudly host celebratory events (Downriver Days, Lavender Festival, Timber Days) to entertain residents and visitors alike. The lakes, rivers, and nearby mountains offer the most treasured community assets to be shared. Newport enjoys four seasons with average daytime highs in January in the mid-30s and lows in the 20s. The effect of the nearby lakes and rivers can lead to misty mornings that dissipate with the mid-day sun. Summer days are quickly warmed by the sunny days–just right for enjoying the water..